Ophthalmologist Darryl Gregor explains why objects up close become more difficult to read as we age. It happens to everyone. Around the age of 45, you find yourself holding the menu further away in order to read it.The text messages on your phone become harder to focus on, and you can’t tell the shampoo from the conditioner. It’s called presbyopia, and it’s a natural part of ageing. You probably aren’t familiar with the name (although if you’re interested, it comes from the Greek word meaning "old man" or "elder", and the ancient Greek word “ops” meaning "eye"). However, at some point in your life, you’ll certainly become familiar with how it affects your vision. The first question my patients usually have is – why is this happening? The second is – what can I do about it? To understand presbyopia, it helps to know a little about the lens inside the eye. Called the crystalline lens, this powerful component is supported by a series of muscles. When these muscles receive a message from the brain to focus on something in the distance, they flatten the lens. If you’re looking at something close up, the message goes to the muscles to ‘flex and thicken’ the lens. Unfortunately, with age the crystalline lens loses its elasticity along with some muscle weakening – this particularly affects the ability to flex effectively. As the crystalline lens hardens, your near vision begins to diminish. What can you do about presbyopia? 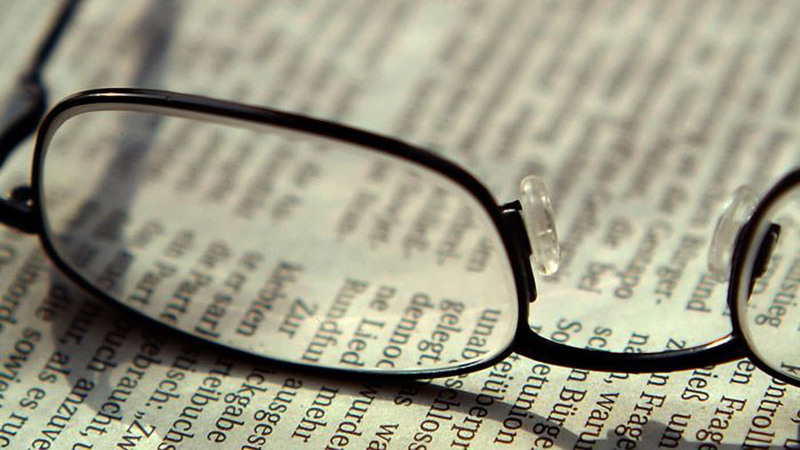 Presbyopia affects your ability to read objects (books, menus, your wristwatch) up close. Most people who have been short-sighted or long-sighted most of their lives will need to move to multifocals or bifocals glasses to see at all distances. Some people might even need to switch between two pairs of glasses. If you’ve never worn glasses before, falling into the ‘chemist glasses’ routine is a short-term option at best – as tempting as they are, they’re only magnifiers and can never correct vision to your exact needs. A visit to the optometrist is the best way to ensure your reading glasses are tailored to your prescription. I have many patients who come to me frustrated with their multifocals or determined not to wear reading glasses. They usually come in expecting that laser eye surgery will fix it - but laser eye surgery corrects the shape of the surface of your eye (the cornea), whilst presbyopia involves the lens. However, I’m always pleased to tell them that there are many options that will reduce their dependence on glasses – in some cases, they won’t need glasses at all. The ‘Rolls Royce’ solution involves lens implantation surgery. A refractive lens exchange (or clear lens exchange) involves replacing the natural lens of your eye with an artificial lens that is designed to your exact prescription. A further benefit of a lens implant is the fact that, by removing the natural lens of the eye, you’ll never suffer from ‘cataracts’, thus avoiding cataract surgery in your later years. Recent and ongoing advances in artificial lens design means that, today, you have a range of vision correction options. For most, reading glasses or multifocals are just fine. But if you’re looking for a more permanent solution, book an appointment with your ophthalmologist. Dr Darryl Gregor is a leading Gold Coast opthalmologist who is a well-recognised pioneer in Australian cataract and refractive surgery.